Start your searching… FRUSTRATION FREE! 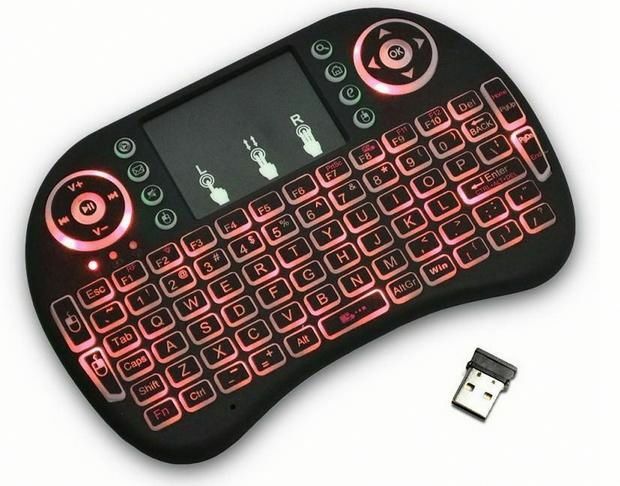 The World’s Smallest Mini Wireless Keyboard Mouse Combo! 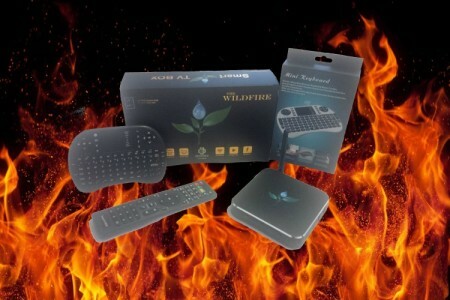 What makes The WILDFIRE Smart TV Box an even more satisfying experience? Adding our 2.4G Touch Pad Mini Wireless Keyboard to your Home Entertainment Center! 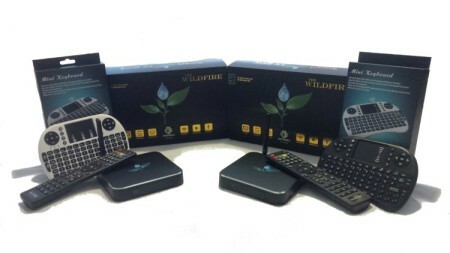 Although you are able to do everything you need to do with the standard remote control that comes with The WILDFIRE Smart TV Box it is still limited when it comes to typing and using the cursor, functions you will need to use from time to time. For example, let’s say you want to type in a search. Well, we all have been there when we had to use the directional pad on the remote to move over to a letter and move over to another letter and again and again and then you hit the wrong letter because by now your bored and not paying attention and now have to click over to the <-backspace button to delete the wrong letter to then select the right one. If you are like us than this process is as exhausting to do as it is to say! 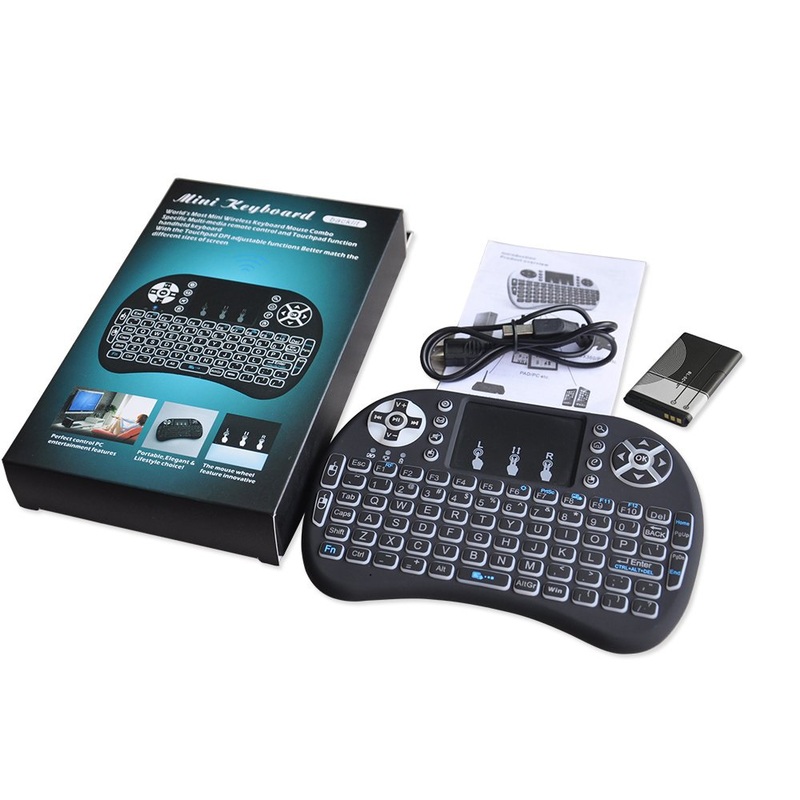 Thankfully, with the Mini Wireless Keyboard you can now use the keyboard to type in what you want in seconds! Or use the touch pad for super easy scrolling. 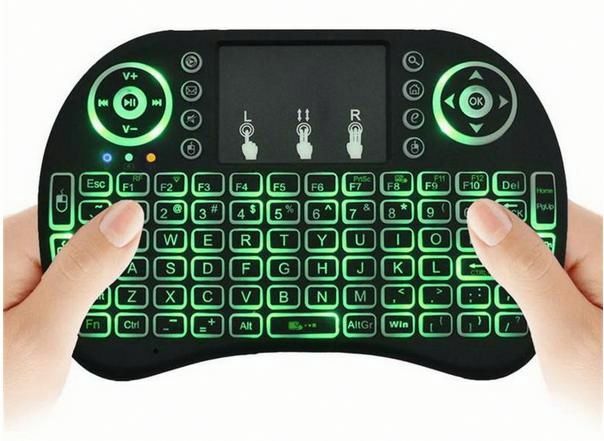 That’s right… no more bringing up the cursor on your remote and then having to watch the cursor scroll slowly up, down, left, right to get to what you want to click on! 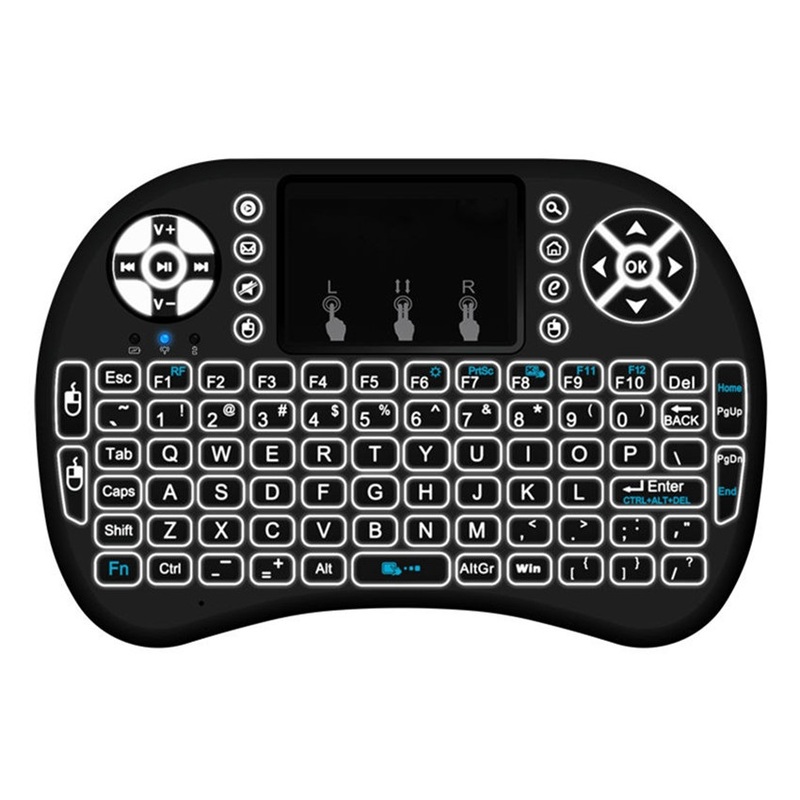 Built in Bluetooth makes the 2.4G Touch Pad Mini Wireless Keyboard as simple to use as inserting the dongle into any USB port on your WILDFIRE Smart TV Box and your instantly connected. 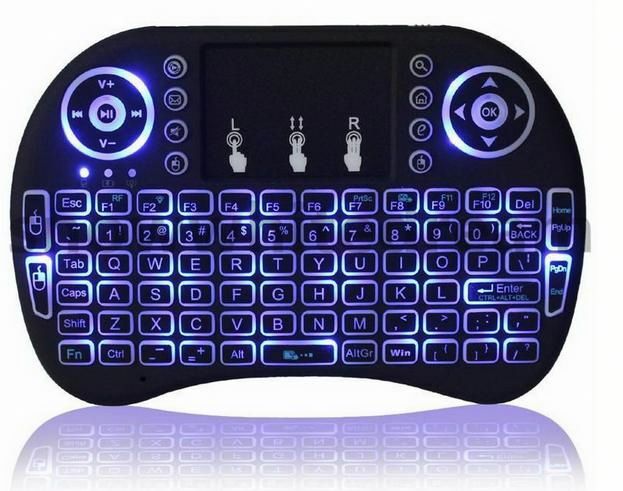 OUr Keyboards also come with the highest end backlit feature which lights up Blue, Green or Red for navigating in the dark! Ready to start your searching… FRUSTRATION FREE! 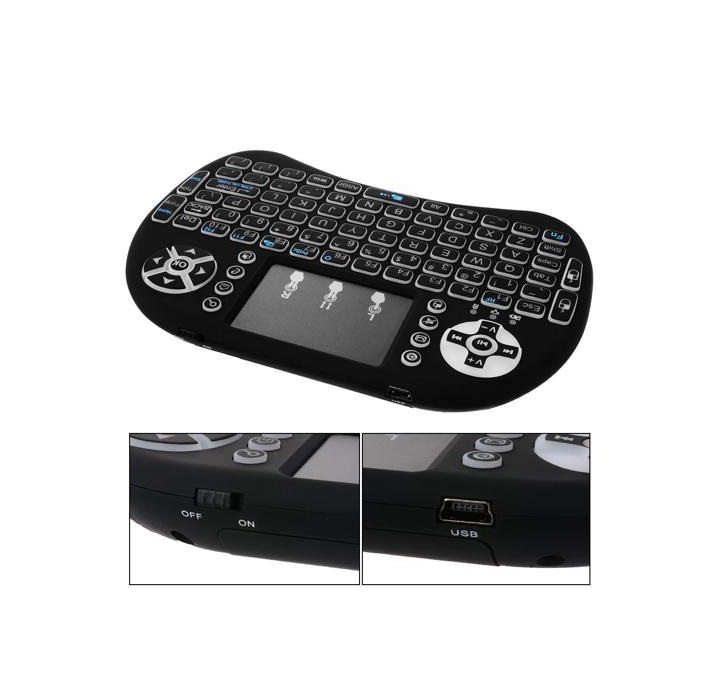 Best Wireless Mini Keyboard for Smart TV, PC, Min PC, TV Box etc. Find out how to make great money with The Wildfire!